This article is about the youth academy. For the men's football team, see Paris Saint-Germain F.C. For other uses, see Paris Saint-Germain (disambiguation). 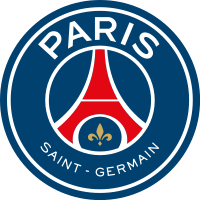 The Paris Saint-Germain Academy, commonly known as Paris Saint-Germain (French pronunciation: ​[paʁi sɛ̃ ʒɛʁmɛ̃]) and familiarly as PSG Academy, is the youth system of Paris Saint-Germain Football Club. Since the academy's inception, many graduates have gone on to sign professional contracts with Paris Saint-Germain or other clubs. Recognized by the French Football Federation as one of the best in the country, the PSG Academy holds a Category 1, Class A rating. Several players had already gone professional without any formal structure when the Paris Saint-Germain Academy was officially established in 1974. In fact, the academy's first centre opened on 4 November 1975 with Pierre Alonzo as its first director. Jean-François Pien is the academy's current director. The PSG Academy consists of the Reserve team, the Under 19 team, and the Under 17 team. They train at the Camp des Loges, which also serves as the academy's home facility; while the Stade Municipal Georges Lefèvre is their home ground. The PSG Academy has produced several international stars, including Nicolas Anelka, Mamadou Sakho, Adrien Rabiot, Alphonse Areola, and Presnel Kimpembe. Domestically, the Reserve team has won three Coupe de Paris and one Division d'Honneur de Paris; the U19 team has won a record four Championnat National U19 titles and one Coupe Gambardella; and the U17 team has won a record three Championnat National U17 titles and one Championnat National des Cadets. The youth system has also been crowned Challenge du Meilleur Club de Jeunes four times. In international club football, the U17 side have won a record three Al Kass International Cups, while the U19 side reached the final of the UEFA Youth League in the 2015–16 edition. The objective of the Paris Saint-Germain Academy is to produce elite football players while offering them an adapted and complete scholarly education. Thanks to a series of partnerships with clubs in the Île-de-France region, the academy regularly accepts promising new footballing talents on the advice of recruiters. The Camp des Loges serves as the home facility for the academy. The youngsters train and play on both grass and artificial pitches at the Stade Municipal Georges Lefèvre. The academy offers five kinds of player contracts (elite, trainees, apprentices, aspiring and amateur) for a total of 70 players divided into three training squads (National 2, Under 19 and Under 17) in five age categories (15 to 19 years). The students' education is assured by CFA Omnisports. Paris Saint-Germain Academy graduate Thierry Morin, who played for the club's first team from 1975 to 1986, is the director of CFA Omnisports. In 2005, the Paris Saint-Germain Academy began expanding its network as part of the club's international development strategy. Pauleta, emblematic PSG striker between 2003 and 2008, was named official ambassador of the academy in December 2013 to accompany its development in France and abroad. Open to boys and girls from 4 to 16 years of age, the PSG Academy welcomes nearly 12,000 children in 69 year-round centers in 14 countries: France, Portugal, United Kingdom, United States, Brazil, Canada, Egypt, Morocco, Lebanon, Saudi Arabia, India, Indonesia, China and Turkey. The Indonesian academy opened at the beginning of 2017 in partnership with local club Bali United. Reserve team before a 2007–08 Championnat de France Amateur match against Bayonne. Since the academy's inception, only nine graduates have made more than 200 appearances for the club's first team. The Titi d’Or is an annual award presented by Les Titis du PSG to the most promising talent at the Paris Saint-Germain Academy. It has been awarded since 2007, although in 2010 no election took place due to Les Titis du PSG website moving to a new web host. Les Titis du PSG is a PSG-affiliated association which covers the news of the club's academy. Elected by the public until 2011, the Titi d’Or has been designated by academy teammates since 2016. Only U17, U19 and reserve players who have not played more than five matches with PSG's first team are eligible. ^ a b c d "Formation". PSG.fr. Retrieved 3 July 2016. ^ a b "anniversaire : il y a 40 ans, le PSG inaugurait son premier centre de formation". Paris.canal-historique. 4 November 2015. Retrieved 5 April 2018. ^ "Le nouvel organigramme du centre de formation du PSG se précise". CulturePSG. 2 August 2018. Retrieved 2 August 2018. ^ "Paris Saint-Germain F.C." Alkass International Cup. Retrieved 24 June 2018. ^ "Palmares du PSG". PSG70. Retrieved 13 August 2018. ^ "Championnat National U19, ancien 18 ans jusqu'en 2008-2009 et 17 ans jusqu' en 2001-02". FFF. Retrieved 24 June 2018. ^ "Coupe Gambardella - Crédit Agricole". FFF. Retrieved 24 June 2018. ^ "Championnat National U17, ancien 16 ans jusqu'en 2008-2009 et 15 ans jusqu' en 2001-02". FFF. Retrieved 24 June 2018. ^ "Championnat National des Cadets". FFF. Retrieved 24 June 2018. ^ "Challenge du Meilleur Club de Jeunes". FFF. Retrieved 24 June 2018. ^ "PSG lift third Al Kass title to create history". Gulf Times. 1 February 2018. Retrieved 24 June 2018. ^ "Chelsea double up with second Youth League win". UEFA.com. Retrieved 24 June 2018. ^ "home - Paris Saint-Germain Academy Liban". Paris Saint-Germain Academy Liban. Retrieved 29 May 2018. ^ "about us - Paris Saint-Germain Academy Liban". Paris Saint-Germain Academy Liban. Retrieved 29 May 2018. ^ "La Paris Saint-Germain Academy arrive en Turquie !". PSG.fr. 28 May 2018. Retrieved 29 May 2018. ^ "Paris Saint-Germain, Multistrada and Bali United team up for Indonesian youth to dream bigger". PSG Academy Bali. 4 December 2016. Retrieved 16 May 2017. ^ "Adrien Rabiot, objectif 200 matches au PSG". Paris.canal-historique. 5 April 2018. Retrieved 5 April 2018. ^ "Adrien Rabiot, dans le top 30 du PSG à Monaco". Paris.canal-historique. 12 November 2018. Retrieved 12 November 2018. ^ "Jean-Marc PILORGET". Histoire du #PSG. Retrieved 5 July 2017. ^ "Eric RENAUT". Histoire du #PSG. Retrieved 14 July 2017. ^ "Luis FERNANDEZ". Histoire du #PSG. Retrieved 14 July 2017. ^ "Jean-Claude LEMOULT". Histoire du #PSG. Retrieved 14 July 2017. ^ "Franck TANASI". Histoire du #PSG. Retrieved 14 July 2017. ^ "Clément CHANTÔME". Histoire du #PSG. Retrieved 14 July 2017. ^ "Francis LLACER". Histoire du #PSG. Retrieved 14 July 2017. ^ "Adrien RABIOT". Histoire du #PSG. Retrieved 20 July 2017. ^ "Mamadou SAKHO". Histoire du #PSG. Retrieved 14 July 2017. ^ "Arthur Zagre wins 2018 Titi d'Or award". Onefootball. 6 February 2018. Retrieved 12 February 2018. ^ "PSG - Qu'est-ce que le Titi d'Or ?". Goal.com. 16 January 2017. Retrieved 12 February 2018.